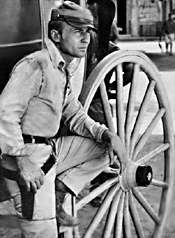 Johnny Yuma (Nick Adams) was an ex-Confederate solder who wandered the West. In his travels he came across people who needed his help which was freely rendered. He kept journals on his travels, a habit which Adams also embraced. Nick Adam’s played Johnny Yuma as a brooding, troubled man. People close to Adam’s say he totally identified with the character which provided Adams with his favorite role. 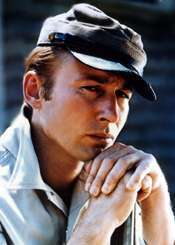 Which brings us to the strange death of Nick Adams in 1968. Ruled a suicide by LA coroners, many feel foul play was involved. 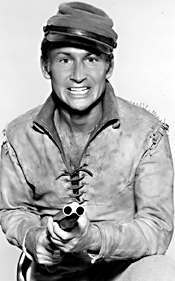 Friends Robert Conrad, Forrest Tucker and others were quoted as saying Adams would not have commited suicide. He was found sitting in a chair. The amount of the prescription drug paraldehyde found in his system is now a matter of debate. This drug when mixed with alcohol and other sedatives can be lethal. But no delivery method was found near the body. No glass, needle etc. Fueling the mystery were the missing momentos. A avid diarist, Adam’s recorder and the reels were never found. Nor was his typewriter, a cherished gift from James Dean. A miner’s hat given by Adam’s father and kept to remind him of his roots also disappeared. And where was his prized Rebel cap? We will never know what or who killed him, but Johnny Yuma won’t be soon forgotten. 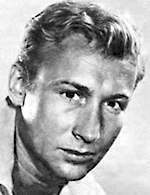 Nick Adams died in 1968. TV Guide’s Rebel Page, with TV Listings, Photos, Videos, Exclusive News and More. Away, away, away rode the rebel, Johnny Yuma. He roamed, through the west. Where the only law was a hook and a draw, the rebel. Away, away, away rode the rebel. Cause he had figured that he'd been pushed enough, the rebel. He would search his soul and gamble with death.